No matter what your current lifestyle or health and fitness goals are, you can benefit from the expertise of a professional fitness trainer. It is important that you take care in choosing a personal trainer who is knowledgeable, experienced, qualified, and genuinely interested in your overall well being! Here is what to expect when you come to work out at our Pompano Beach gym. Uncover what you hope to achieve. Determine what your current health and fitness status is. Use this information to develop a safe and effective personal training program that is customized to your individual circumstances. All of these details will establish a baseline to compare your progress to in the future! All we ask is that you try your hardest, with a mindset that you are here to improve, not to set records! 3. Set A Realistic Goal. Following your fitness assessment, you and your personal trainer will sit down and set a specific health and fitness goal that is measurable, attainable, and realistic. Whether your goals are to lose weight, build muscle, or to simply look and feel your best, it is the function of our gym to provide you with the support, motivation, and accountability that you need to achieve your short and long term goals! Once you’ve set a goal and decided which fitness program will work best for you, we can help you select from classes like TRX training, kickboxing, and nutritional instruction for you to choose from. 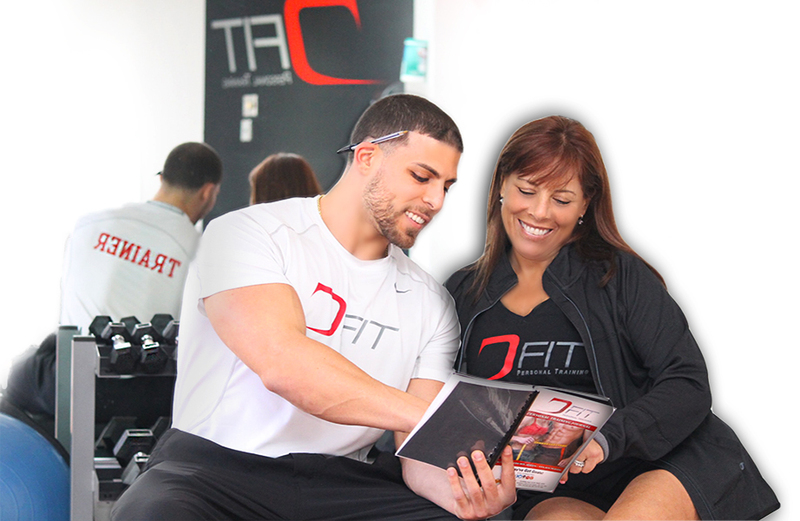 Your trainer will be well equipped to present you with a plan of action that best suits your needs and schedule. Every 4 weeks, you and your trainer will reevaluate the effectiveness of your exercise program by taking your circumference measurements, body fat percent, and fitness assessment tests as you did during your initial consultation. Your trainer will discuss the progression of your workout program and educate you on what to expect for the next 4 weeks!